This month our magazine features the future of High Throughput Satellites (HTS) for both GEO and NGSO systems. HTS satellites gain their advantage over the wide beams of traditional Fixed Satellite Services (FSS) satellites through frequency reuse that is enabled by the use of multiple spot beams. This, in turn, produces significantly more satellite capacity and higher bandwidth for end users at substantially reduced cost per bit. Our contributing experts address the issues of the future role of traditional wide-beam FSS GEO satellites in an HTS world, the relative competitive advantages of HTS GEO vs LEO/MEO (focused on latency) and direct-to-user satellite delivery of HTS broadband services vs providing backhaul for cellular networks and community VSATs with shared WiFi distribution. Our experts also debate the critical question of whether the prospect of launching all this new HTS GEO and NGSO capacity will lead to a serious imbalance of supply and demand or whether, as Vaibhav Magow of Hughes bullishly puts it “bandwidth demand continues to outstrip supply globally, as people and organizations that already have Internet connectivity seek an ever expanding universe of broadband applications while there remain several billions on the wrong side of the digital divide without even basic access.” Ronald van der Breggen of LeoSat looks at the pros and cons of GEOs vs NGSOs and what he characterizes as the shift from a satellite industry dominated by video to an industry “that will be dominated by pure data”. Of course, no report on HTS would be complete without an assessment of ARPU trends and how it will impact satellite operators, a comparison of the leading NGSO constellations and how many are likely to be successful, and a discussion of how not all available NGSO capacity may be usable, as global constellation will cover large ocean areas that may be out of reach of gateways or may have little or no market demand. Finally we have a case study of HTS to the connected car by Terry Bleakley of Intelsat that discusses hybrid networks that can match the benefits of different delivery technologies to service requirements, with GEOs for global broadcast, and LEOs for low-latency where LTE/5G is not available. According to Nathan de Ruiter of Euroconsult, HTS capacity supply reached close to 1.3 Tbps in 2017, up from 868 Gbps in 2016 and are projected to drive available capacity to 5.8 Tbps in 2021 and if the planned NGSO constellations are operational this could result in capacity exceeding 11Tbps in 2024. Today the vast majority (about 90%) of available HTS capacity is supplied by GEOs; with the launch of new constellations NGSOs could offer as much as 5 Tbps in 2027, or 47% of the total supply. Meanwhile, Shagun Sachdeva of NSR estimates that in 2017 global revenues from HTS were nearly $1.6B and constituted about 12% of overall satellite operator revenues. In contrast, she reports that cumulative satellite capacity revenues over the next 10 years will surpass $189 billion, with over 47% of revenues expected from HTS with over 25 Tbps expected to come from the NGSO HTS constellations. Further NSR projects that the revenues in South East Asia from HTS are expected to grow from about 8% of the total regional revenues in 2017 to over 68% in 2027. The connectivity demands in Asia are projected to increase exponentially over the next decade. 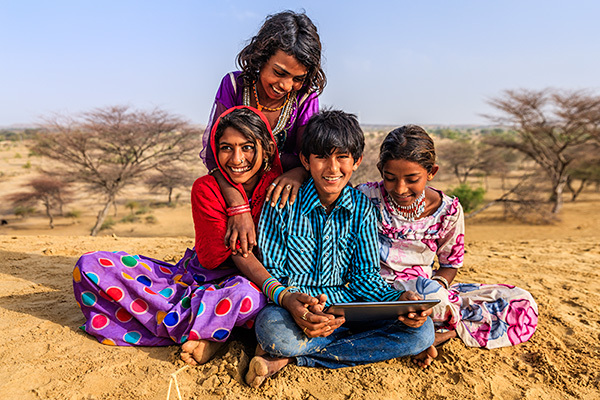 Patchy terrestrial connectivity in rural areas and diverse geography make HTS essential towards connecting the region with affordable services offering real broadband capacity. Enjoy our excellent articles which delve into these issues and describe a major growth opportunity and success story for our satellite industry. The space sector is pushing for substantially more productive satellite infrastructure and ground segment at a lower cost. The introduction of high-throughput satellite (HTS) systems has resulted in significantly more satellite capacity and higher bandwidth for end users at a reduced cost per bit. This trend is expected to intensify over the next decade. HTS capacity supply reached close to 1.3 Tbps in 2017, up from 868 Gbps in 2016. Major supply additions are projected to drive available capacity to 5.8 Tbps in 2021. Beyond 2021, the emergence of LEO constellations, combined with a number of geostationary satellites, could result in capacity exceeding 11 Tbps in 2024. The vast majority (~90%) of today’s available HTS capacity supply is from geostationary satellites. Considering the LEO and MEO constellations, only O3B (owned by SES) is currently operational; the others are in the development stage. 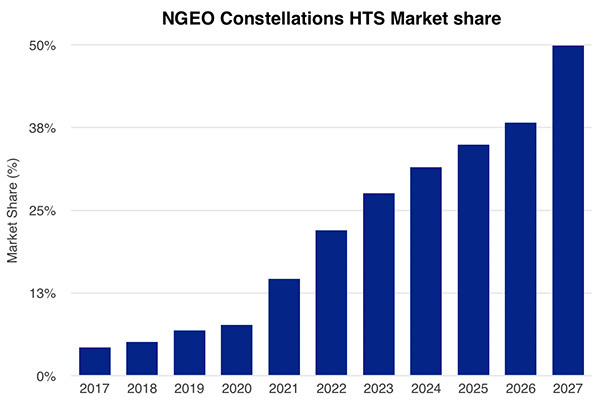 Nonetheless, NGSO HTS supply is anticipated to grow dramatically following the launch of new constellation satellites to reach about 5 Tbps in 2027, or 47% of the total supply. Global operators and vertically integrated players (Hughes, Viasat) dominate HTS supply provision to date and are expected to remain primary players over the next five years. Nevertheless, the satellite industry continues to attract new entrants planning to launch GEO-HTS (e.g., Global IP) or NGSO constellations (e.g., OneWeb) to penetrate new markets. Following in the footsteps of O3b, a number of satellite constellation projects, such as OneWeb, Telesat, LeoSat, SpaceX and others, are setting their sights on broadband connectivity applications and markets. While these LEO projects are at various, relatively early development stages, it is important to gauge how disruptive such projects might be to the current structures of traditional (GEO) and HTS markets in terms of the value proposition (low cost/latency) and the sheer volume of capacity promised. The exact volume in throughput claimed by operators can be debated, as the data rate of a given system would depend on the system, the spectrum efficiency of the transmissions and the supported applications. Moreover, not all available capacity may be usable, as especially global constellation projects will cover a large ocean mass that may be out of reach of a gateway or have little to no market demand. OneWeb, for example, is planning to launch a LEO-HTS system consistent with an offering of around 5 Tbps of Ku-band HTS capacity that targets rural connectivity applications and potential consumer markets. In contrast, LeoSat is focused on providing industrial-grade communications to large corporations in segments such as telecom and oil and gas. As such, LEO-HTS systems will offer competition across most verticals served by GEO-wide-beam, GEO-HTS and MEO-HTS solutions. The global coverage of NGSO-HTS systems and expansive coverage footprints of large-scale GEO-HTS systems, such as Viasat-3, inherently lead to coverage of areas with no or little demand prospects, effectively reducing their usable/sellable capacity. NGSO-HTS systems and large-scale GEO-HTS systems are likely to be challenged by regional operators fielding smaller HTS payloads targeting focused geographies/countries where they may hold strong local ties and will field multiple times the capacity of a system like OneWeb’s, whose capacity is spread evenly across the globe. As such, payload flexibility, whether through steerable beams or technologies such as beam-hopping, is increasing in popularity amongst HTS operators as a means of maximizing usable capacity and serving shifting demand. Aside from competition in terms of cost base of capacity and local market access, NGSO-HTS operators are also faced with a reliance on the development and affordability of next-generation user terminal eco-systems. While price elasticity of demand should unlock demand across broadband (consumer, SME, community hotspots), cellular backhaul, corporate and mobility markets, benefitting GEO and NGSO-HTS operators alike, it remains to be seen whether significantly lower latency, a key advantage of NGSO systems, and global scale will justify the massive investments required to field NGSO-HTS constellations. Overall, we anticipate that it should take several years to reach a usage level that matches the overall supply. Total leased HTS capacity will increase from around 508 Gbps in 2017 to 1.2 Tbps in 2020, corresponding with a global fill rate of around 35–40% throughout the period. Considering the payloads that are entirely leased to certain customers, the fully utilized capacity will be significantly lower than the leased capacity, at least in the short term. Post-2020, the launch of LEO constellations and terabit satellites will increase the pressure on the global HTS fill rate, which will fall to around 25–35%. 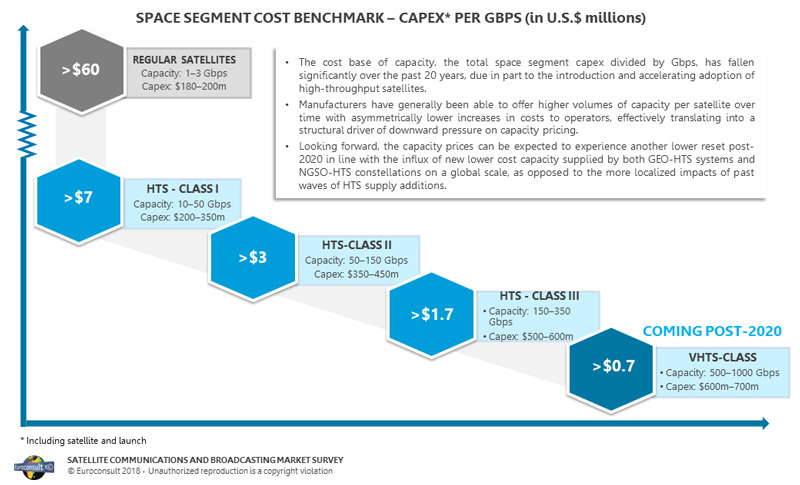 The advent of HTS satellite systems, which have higher cost efficiency, has allowed for lower capacity pricing. The higher share of HTS in total traffic has a downward impact on capacity ARPU. The massive addition of capacity supply in a majority of regional markets (in particular, those with the highest growth rates in capacity demand) has involved regular supply and low-cost HTS supply. The current overcapacity is resulting in sustained pressure on capacity pricing. Growth in capacity usage has occurred, primarily in emerging markets, which have historically had lower average pricing than the legacy markets, such as Western Europe and Japan (and to a lesser extent, North America). The ARPU (average revenue per unit) for HTS capacity stood at around $232/Mbps/month in 2017. After years of strong declines due to the impact of bulk leases and vertically integrated broadband services, the average HTS capacity ARPU will more progressively erode to about $165/month in 2027 (CAGR 2017–2027: -3%). This global average combines a wide range of schemes, with pricing ranging from less than $100/Mbps/month for certain fully leased payloads to more than $1,000/Mbps/month for certain niche services, such as premium video services. Significant uncertainty remains about the anticipated price levels for the VHTS systems, which could have a significant impact on average ARPU at the end of the forecast period. 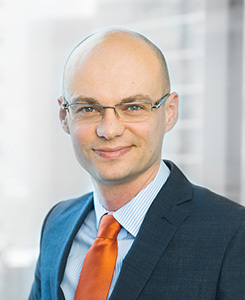 Nathan de Ruiter is Managing Director of Euroconsult Canada. Since joining Euroconsult in 2011, he has advised a wide range of international clients including satellite operators, manufacturers, equipment providers and financial institutions. Nathan’s key interests revolve around high throughput satellites and satellite broadband services. Nathan plays an integral role in contributing to the successful execution of client engagements through the development of project management, quality assurance and professional consulting and research methodologies. 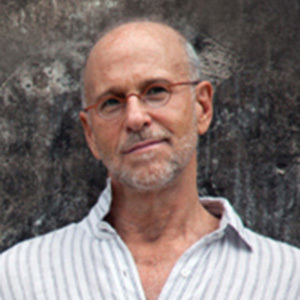 Prior to Euroconsult, Nathan was Senior Manager at S.M. International Financial Advisory, a boutique advisory firm dedicated to the infrastructure sector. Nathan also worked at seed capital firm Neotech Capital, which invests in new media and telecom start-ups. In this management role, Nathan assessed business plans and developed commercialization strategies for multiple technology start-ups. The arrival of High-Throughput Satellite (HTS) capacity over geostationary (GEO) satellites in the Asia Pacific region and the expected launch of Low Earth Orbit (LEO) constellations in the coming years (if not months) may prompt discussion about over supply and competing technologies. Yet the fact is bandwidth demand continues to outstrip supply globally, as people and organizations that already have Internet connectivity seek an ever expanding universe of broadband applications, while there remain several billions on the wrong side of the digital divide without even basic access. Indeed, demand for broadband is growing exponentially across all sectors. Consumers depend on connectivity for everything from email to education to banking. Businesses and governments rely on networks for a wide range of applications, spanning training, financial and operational needs – including high availability configurations that stay up and running when disaster strikes. Cisco predicts that global IP traffic will reach an annual run rate of 3.3 zettabytes by 2021! And let’s not forget that demand also crosses all regions and continents, with the majority of the unconnected in ex-urban and rural areas having limited or unavailable terrestrial access, whether fixed or mobile/wireless. The bottom line is that the need for high quality broadband networks without borders has never been greater. And meeting this need calls for a hybrid connectivity model that leverages the most cost-effective mix of transport technologies available at any given location, namely satellite (GEO and/or LEO/Non-GSO) as well as terrestrial fiber, cable, DSL or mobile/wireless. 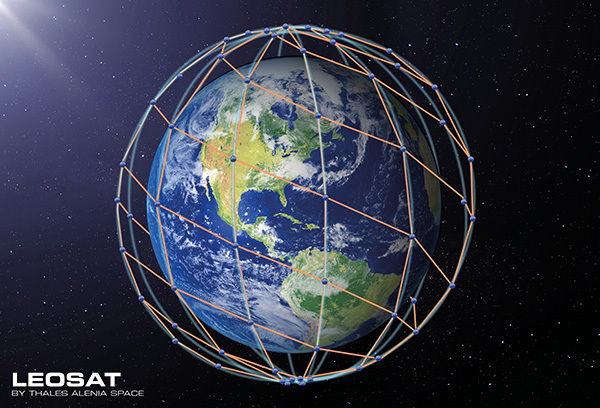 GEO satellites have been an integral part of enterprise networks since the mid-80s when the invention of VSATs helped Wal-Mart connect rural stores across America that were unserved or underserved by terrestrial lines. That strategic decision by Sam Walton helped grow his business to become the world’s largest retailer. 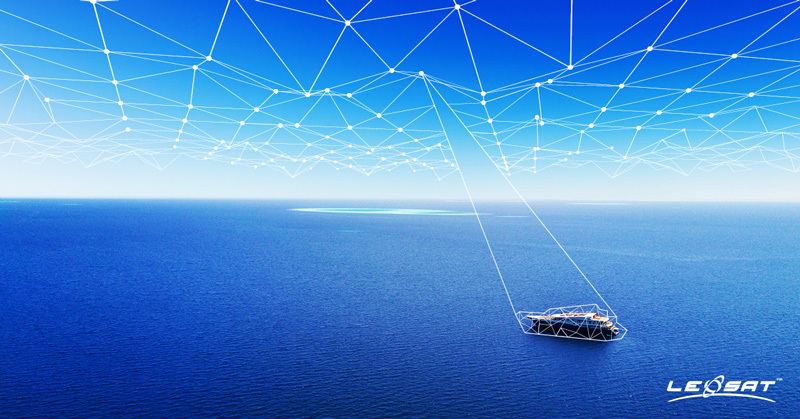 Today, virtually all vertical sectors – from retail to oil/gas, hospitality and financial services – take advantage of the many benefits of satellite connectivity, which include global reach, multicasting and cost-effective capacity that, unlike terrestrial networks, is not dependent on distance from a local point of traffic consolidation. HTS GEOs are now expanding worldwide, with capacity delivered over spot beams that can be targeted to specific demand and reusing frequencies much like cellular networks. LEO networks such as OneWeb, referred to lately as Non-GSO are soon to add significant additional capacity (September 18, 2018 – NSR’s Global Satellite Capacity Supply & Demand, 15th Edition) and with minimal latency as their orbits are below 1000km (approximately one fortieth that of GEOs). When it comes to the issue of GEO vs. LEO, both systems have important roles in the hybrid ecosystem. The combination of constellations has the potential to extend coverage everywhere, while concentrating capacity where it’s needed the most. In particular, lower latency LEO satellites will be attractive for real-time interactive applications, whereas GEO systems will continue as the primary sources of capacity for virtually all broadcast and multi-cast services, driven largely by demand for video of all types, from entertainment to online education and shopping. As Mobile Network Operators look to expand their footprints and serve more customers, satellite offers several solutions. In lower density ex-urban, mountainous and rural areas, the cost of terrestrial cell site backhaul has been prohibitively expensive, often complicated by difficult terrain, poor roads and limited utilities – representing the primary barriers to much-needed expansion. With no distance limitations on deployment, satellite backhaul for 2G, 3G and 4G cellular sites is now increasingly being recognized as a viable and rapid solution. According to a recent NSR report, satellite today supports no less than 50,000 sites globally and its use is expected to grow to over 180,000 sites by 2027. Some creative MNOs are also using Community Wi-Fi or Shared VSATs to extend service to remote communities at a cost that’s shared by a number of users. For example, in remote areas of Russia, KB Iskra provides high-powered Wi-Fi access points to create a mile-wide cloud covering an entire population of a village with high-speed Internet access. Typically, each VSAT supports 20 to 30 subscribers, each paying on average 50% less each month than individuals with home-based service in urban areas, thanks to the cost-sharing model. The customer terminals for both HTS and LEO constellations are critical to the implementation and integration of these hybrid networks. Advanced technology plays a critical part, such as the sophisticated acceleration software already in use with some GEO systems. Moreover, some managed multi-transport network services make intelligent routing decisions based on all available transport options: cable, DSL, 4G and satellite. With that kind of intelligence, an enterprise might make use of GEO and LEO satellites for backhaul, using policy-based routing to deliver each application using the most advantageous system. Within the terminal, an access technology function would send traffic that is least delay-sensitive via the GEO links, and traffic that is more delay-sensitive via terrestrial or LEO transport. For enterprises and government organizations, harnessing the many benefits of broadband applications to better serve their customers and constituents is essential, yet presents a major challenge in staying on top of fast-changing technology. The answer lies in seeking a trusted partner with the technology expertise who can provide managed services covering all aspects of running their networks, freeing them to focus on fulfilling their organizational mandates. As a case in point, the HughesON™ suite of managed network services is an example of a hybrid network that leverages multiple access technologies including xDSL, cable, fiber, LTE and satellite. 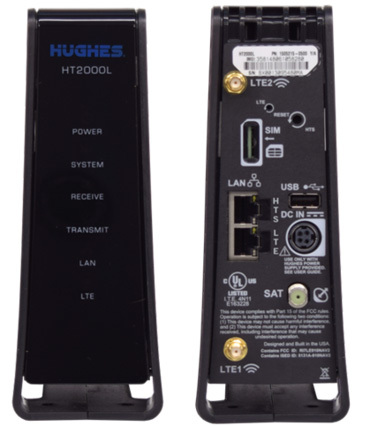 The new HT2000L – a latest generation VSAT with an integrated LTE modem – integrates HTS and LTE access technologies into a single device, enabling SD-WAN networks to use both of these access technologies simultaneously. 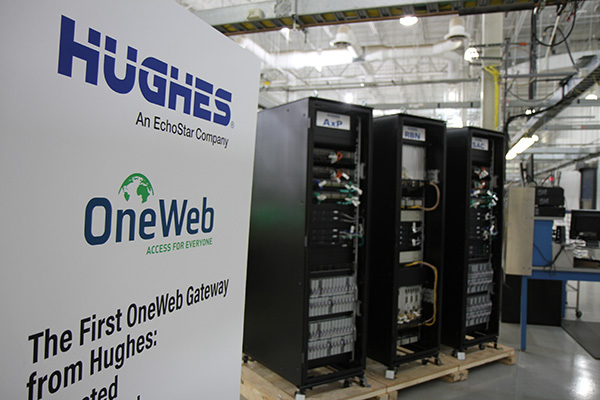 Hughes ActiveTechnologies™ embedded in the device enables traffic to be routed over either or both paths based on a variety of factors including Quality of Service (QoS). The good news is that worldwide demand for broadband Internet access and applications across all sectors seems unstoppable. Industry’s challenge is to keep pushing the dual envelopes of technology and service delivery to meet this demand. And as history will likely prove, employing hybrid connectivity solutions spanning terrestrial and satellite networking technologies will yield the most benefits in bringing the many benefits of the digital world to everyone and every organization no matter where. Vaibhav Magow is Associate Vice President and heads the Asia/Pacific region for the International Division at Hughes Network Systems, LLC (HUGHES). A satellite professional with over 24 years of experience, Magow has worked in different roles including Enterprise Sales, Product Development, Services Marketing, Business Planning, Digital Services, Franchising, and Service Retailing. He worked in the Indian satellite market for 11 years with Hughes Communications India, Ltd. (HCIL) assisting HCIL in maintaining its market share and now has been leading Hughes teams in the Asia/Pacific region for the past 9 years. Magow holds a Bachelor of Engineering Degree in Computer Science from the University of Pune. Imagine being able to drive a car and have a consistent powerful broadband signal – one strong enough for passengers to stream high-definition video while the driver gets updates on traffic and road conditions miles down the highway. Such a scenario is not far off. Within a few years, high-throughput satellite-enabled networks will do just that as part of a new generation of hybrid networks to connect vehicles virtually anywhere on Earth. Connecting cars and trucks to the Internet is going to forever change the way we think about personal and commercial highway transportation. Intelligent transport systems and self-driving vehicles will more easily and efficiently move passengers and products to their destinations. At the same time, these connections will enhance both the driver and the passenger experience with information and entertainment only available with high-speed links. Since cars increasingly rely on software for essential operations – from anti-lock braking and safety functions to infotainment systems – cars today have computing power that’s equivalent to 20 modern personal computers, feature about 100 million lines of code and process up to 25 gigabytes of data per hour, according to McKinsey. The software also requires regular updates, and the need to provide software updates and consistent mobile broadband to millions of vehicles is challenging for the manufacturers. There are experiments with self-driving technology, which has been ongoing several years and is producing vehicles with ever-more capable autonomous systems. While today’s experimental autonomous vehicles use a number of on-board sensors to operate safely in traffic, they also rely on over-the-air communications to receive information about road conditions and precise mapping. Despite operators forging roaming agreements and meeting coverage obligations, cars continually move in and out of cellular coverage, encountering “not spots” and variable bandwidth rates across 2G, 3G and 4G networks. Even the most advanced 4G networks are limited in the amount of content they can consistently deliver. 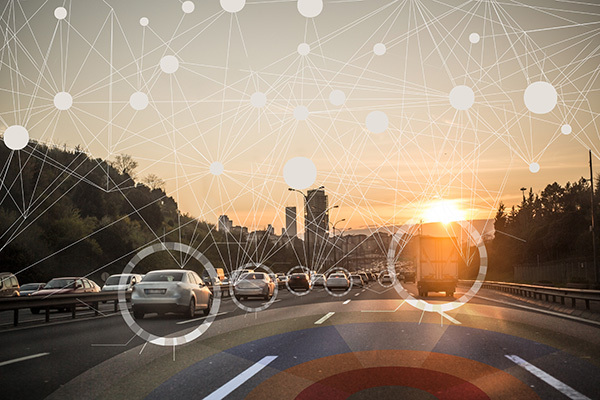 A hybrid approach that blends terrestrial and satellite networks will enable all players in the connected car ecosystem to go farther and faster than what they can do today. If we are not to create a new digital divide between urban and rural populations, companies will need satellite technology interwoven with terrestrial networks to provide the continuous bandwidth necessary to safely operate an automobile wherever they are traveling. By connecting cars to powerful high throughput satellites (HTS), manufacturers will be able to update vehicle software via satellite. The broadcast and multicast capabilities of satellite are the most efficient way to deliver large amounts of IP content and data to tens of thousands of vehicles in a country or millions of vehicles globally. Our Intelsat EpicNG program now provides global coverage, with Horizons 3e bringing HTS satellite solutions to Asia Pacific and expanding into the Pacific Ocean region to benefit mobility, fixed and network operators, governments and broadcasters. The Intelsat EpicNG satellites are also part of our IntelsatOne Flex service, which provides a flexible infrastructure for incorporating high-throughput services while avoiding the complexity of forecasting throughput requirements across the various beams. 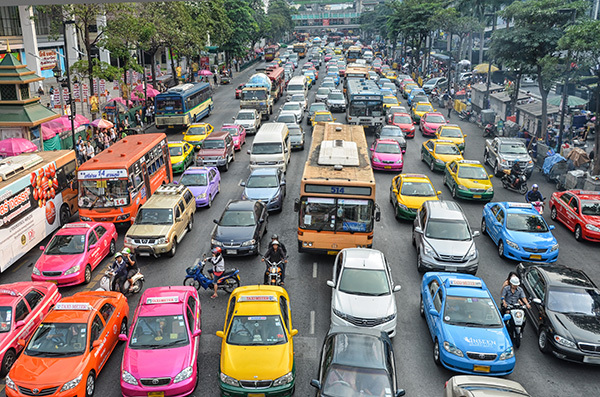 The global reach of satellite networks also ensures that satellite-connected vehicles always have access to two-way communications even when on the move. Satellites are ideally suited for integration into terrestrial networks as they round out the ability to augment coverage ubiquitously, whether direct to the vehicle or by helping to extend the terrestrial network. Their unique capability to broadcast signals over wide areas enables companies to securely send software updates that are specific to car models in different parts of the world. This also helps mobile network operators (MNOs) balance the traffic on their network in order to raise the quality of service for Vehicle-to-Vehicle and Vehicle-to-Infrastructure communications that are critical in an autonomous vehicle environment. For car manufacturers, updating vehicle software via satellite will save millions of dollars in vehicle recalls because they won’t have to fix the cars one at a time in dealerships. Companies estimate that between 60 percent and 70 percent of vehicle recalls are the result software issues. Eliminating the need to make these updates individually in dealerships also will save time for the owners. Car manufacturers and their suppliers are also just beginning to explore the range of content that might be streamed to the vehicles using the rapid two-way communications between the car and the cloud server maintained by the car’s manufacturer, allowing the driver to pick from a menu of services. Other menu items could be a range of “infotainment” options such as streaming music, video from providers such as Netflix, and high-speed broadband. Passengers would have numerous entertainment options either on screens inside the vehicle or on portable devices they brought along for the trip. While we may not see these services until the 2020 or 2021 model years, the technology will take off rapidly. Some manufacturers, such as Mercedes, BMW and Volvo, are already using some of the software update capabilities using Wi-Fi and cellular networks. Satellite connections will likely work to complement these services for some applications, but satellite will be the best type of connectivity for manufacturers to make mass updates to vehicles spread across wide geographic areas. As more of these connected cars begin to populate the roads, an important consideration for car manufacturers will be the security of the networks able to access the cars and make software changes. A motorist receiving notice that the brake system on his or her car is about to be updated will want to know that the change has come from the right source and has not been tampered with. As vehicles are equipped with more sophisticated entertainment and navigation systems that rely on access to the Internet to download movies, maps, and information about traffic conditions, making sure that these two networks are isolated from one another is critical to the cyber security of the vehicle’s control network. This segmented connectivity has long been a standard in the commercial airline industry, where the systems that operate the aircraft are isolated from the in-flight entertainment networks that deliver content and Internet services to passengers. The auto industry needs to adopt the same concept of having the right segmented architecture between the electronics that control a vehicle’s movement and the systems that download entertainment or provide other information to drivers and passengers. There can be no bridges between these two information hubs. In order to achieve a closed loop vehicle control network, auto manufacturers need to work with the hundreds of vendors who supply the many parts that go into these systems. They also need to be sure that the mobile network providers with access to the car have their own security systems in place to prevent unauthorized intrusion over the Internet. With so many vendors involved, it is the responsibility of the car manufacturers to set the security standards for any device inside the car that relies on software. While security of the vehicle control system is essential for passenger safety, keeping hackers out of the entertainment or other networks in a car is also important. For example, parents would not be pleased if a hacker started delivering inappropriate content to the TV screens of the children sitting in the back seat. 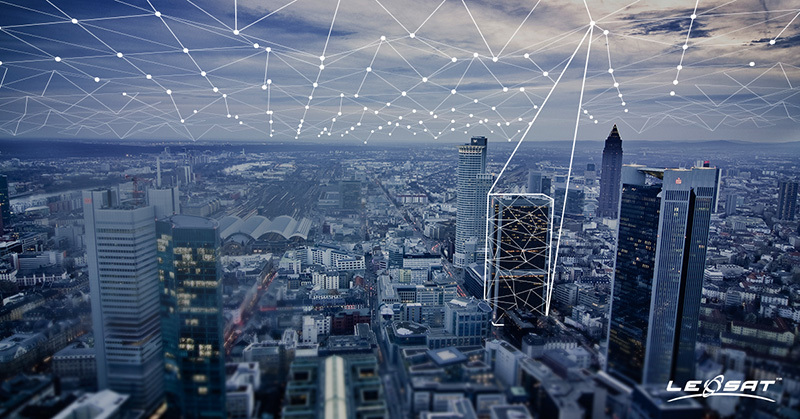 Connected cars will have a broad and substantial impact on the world. They could disrupt ownership models by enabling sharing and mobility services. They offer new ways to deliver relief services in the wake of disasters. They also mark the start of the journey to develop self-driving, autonomous vehicles and vehicle-to-everything (V2X) communications. Such technologies will provide the foundation for intelligent transportation systems that have wide-ranging social benefits such as fewer road accidents, reduced air pollution and more efficient city planning and operations. The vision for the future of connected cars is that they will improve not only how we drive, but also how we live, and satellite will play a critical role in making this a reality. 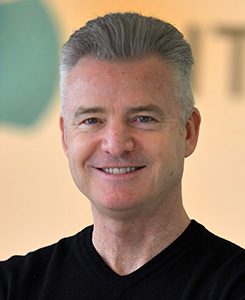 Terry Bleakley began serving as Intelsat’s Regional Vice President, Asia-Pacific in November 2010. He is responsible for the management of Intelsat’s sales and marketing activities throughout the Asia-Pacific region. Prior to this position, Bleakley served as Vice President, Sales and Marketing and Vice President, Commercial Operations for MEASAT from 2006 to 2010. From 2000-2006, he served with Intelsat and PanAmSat in senior sales and sales-management positions in the Asia-Pacific region. Bleakley earned a Bachelor of Science Degree from Victoria University in Wellington, New Zealand and a Post-Graduate Diploma in Aviation and Business Studies from Massey University in Palmerston North, New Zealand. High Throughput Satellites (HTS), arguably one of the biggest innovations in the industry in the past decade, are increasingly becoming a fundamental part in the satellite operators’ fleets. The increased throughput enabled by the spot beam technology – allowing for higher coverage at a lower cost on a mega-bit-per-second (Mbps) basis – is resulting in the replacement of more traditional Fixed Satellite Service (FSS). With the technological improvements in the ground segment, the growth in Low Earth Orbit (LEO) and Medium Earth Orbit (MEO) HTS constellations (also referred to as Non-GEO constellations in this article) as well as the declining pricing trends, the satellite communication architecture is quite dynamic. HTS systems, by design, offer significant advantages in data transmission rate due to the narrower beams and, as a result, increased power. Additionally, as several beams can reuse the same frequency bands, it offers increased system capacity for the allocated amount of frequency band. As HTS spot beams are designed to provide greater capacity and high data rates, it makes them an attractive option for data heavy applications such as enterprise and consumer broadband. The low cost of capacity, and need for relatively smaller terminals for operation – further lowering the cost of the system – reduces the prices enough to be competitive with terrestrial telecom networks. While HTS systems are currently primarily used for fixed broadband access (consumer and enterprise) and mobility (maritime, aero, land and government/military), the associated benefits of HTS opens up various other use cases including providing secure, relatively lower cost communications to enterprises as well as to the unserved and underserved remote areas. Despite the known and proven benefits of HTS, NSR estimates 2017 saw global revenues of $1,565M from HTS – a mere 12% of the total global satellite operator revenues. This can be attributed to premature early stage deployments with underdeveloped sales channels and relatively poor resource management. Network complexity associated with hundreds of beams and tens of thousands of terminals required for the proper operation of HTS architecture not only requires greater resources but also system proficiency – both of which result in higher CAPEX (Capital Expenditure) and longer lead times. Over the next few years, as some of the challenges associated with HTS subside and operators learn to exploit the full potential of the system, revenues from HTS architecture are expected to grow considerably. According to NSR’s Global Satellite Capacity Supply and Demand, 15th Edition report, cumulative satellite capacity revenues over the next 10 years will surpass $189 billion, with over 47% of revenues expected from HTS. In the current environment of declining prices and increasing competition from terrestrial systems, a move towards HTS architecture is essential for satellite operators to ensure sustainable growth, given the relative benefits. That said, FSS – and specifically video services are still characterised with a significant share of the revenues that cannot be overlooked. Any discussion around the future of satellite communications, especially HTS is incomplete without touching on the subject of Non-GEO HTS constellations. 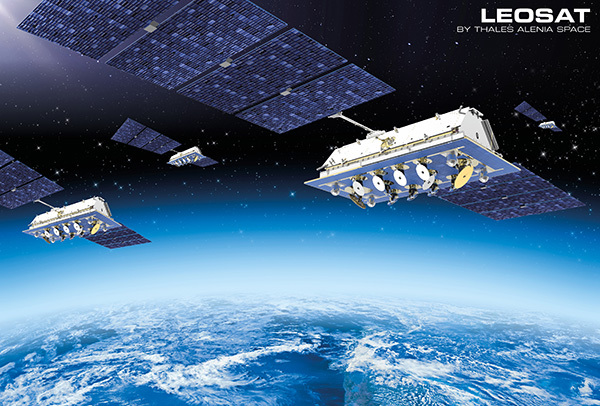 OneWeb re-opened the door to the ‘new space’ LEO HTS satellite constellations in 2017, with others including Telesat, LeoSat and SpaceX (Starlink) following suit, with slightly differing business models. In the MEO arena, SES is currently the main player with its O3b constellation and the upcoming O3b mPower constellation. NSR’s Satellite Constellations: A Critical Assessment report carried out a financial assessment for all these systems and found that only 3 of these constellations will be successful. A total capacity supply of over 25 Tbps is expected to come from these Non-GEO HTS satellite constellations in the next decade. However, despite this substantial amount of capacity, revenues from these constellations only make up for less than 13% of the total satcom revenues (both capacity and service revenues) in 2027. The verticals expected to be most impacted by Non-GEO HTS constellations are Consumer Broadband and Backhaul and Enterprise, each constituting a 17% of the overall revenue share and Land Mobility with 9% revenue share. The remaining verticals are expected to have an insignificant impact from the Non-GEO constellations by 2027. 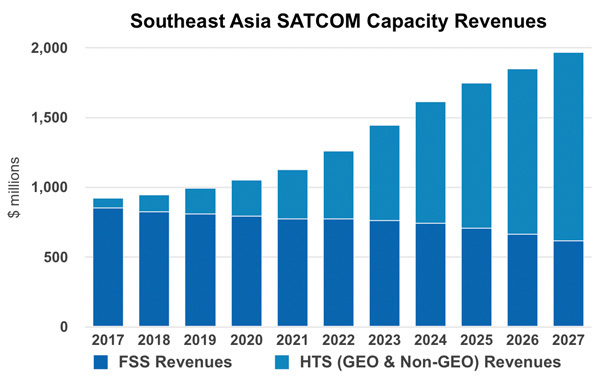 In the South East Asia region, the GEO-HTS supply currently is dominated by Thaicom 4 and NBN satellites. However, as a large number of regional and international players are incorporating HTS into their fleets, the current landscape is changing quite rapidly. While new players such as MEASAT and Telecom entering the market with new HTS payloads are expected to grow the regional market substantially, there is also a notable interest from global actors like Intelsat, SES, Telesat and Eutelsat. Added to it the likes of Kacific also planning to launch HTS capacity in the region over the coming years, we find a growing risk of oversupply in the region as demand in the region is lagging with Broadband Access and Enterprise Data expected to be the main drivers for the demand. While FSS revenues have already peaked in the South East Asia region, NSR expects the overall revenue growth to continue over the next decade, with HTS unlocking new potential revenue sources. Key HTS revenue drivers are expected to remain Enterprise Data and Broadband Access. South East Asia is also a hub for global aeronautical and maritime traffic and as such, HTS is expected to capitalize on this in the next decade with Maritime players benefitting from fast connectivity at highly competitive prices across ocean region and IFC (In-Flight Connectivity) likewise exploiting benefits from bandwidth intensive activities such as in-flight video streaming. Overall, the revenues in South East Asia from HTS are expected to grow from about 8% of the total regional revenues in 2017 to over 68% in 2027. HTS architecture, by nature, is quite complex with a diverse and highly challenging network framework that comprises of multiple satellites, various frequency bands and varied market applications. Moreover, communication management between the numerous and widely spread out gateways can be quite challenging – adding another level of complexity with either Inter-Satellite Links or terrestrial gateways. Proper management of this entire system is a massive undertaking, for HTS operators, especially for Non-GEO systems. Regardless of the technological progress made to date – both in the ground segment as well as the satellite system, LEO HTS constellations still face serious challenges. High CAPEX associated with replenishment costs and ground segment architecture remains one of the biggest hurdle for these systems. In addition, lack of funding due to concerns over the availability of affordable consumer hardware and the low expected ROI (Return on Investment) is also a big challenge for these business cases. Put simply, the challenge with most of the LEO business models is that according to the bottom-up approach, a higher revenue requires a higher market share, with further requires low latency and high coverage – which is the main value proposition of these mega-constellations. However, the bigger the constellation, the higher the capital investment needed and the higher the complexity of manufacturing and higher replenishment cost. This is in direct contradiction to the top down approach of keeping costs low to sustain low and highly competitive pricing. For LEO-HTS constellations, the biggest barrier to success is solving this paradox. 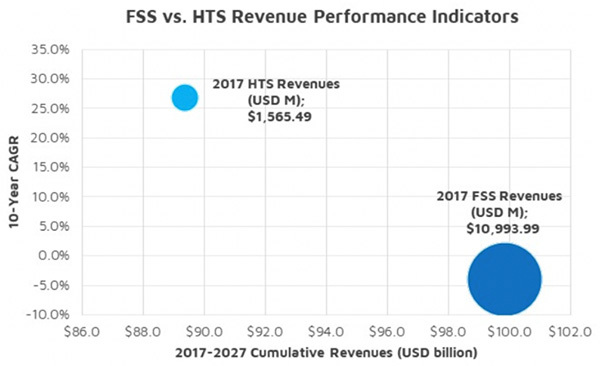 While FSS revenues have plateaued for now and expecting to decline over the next decade and, in contrast, HTS revenues expected to grow significantly, an HTS-only fleet might not be the correct choice for satellite operators. It is important to stay flexible with the increasing competition within GEO, from LEO constellations as well as disruptive terrestrial technologies like 5G. As such, a hybrid satellite fleet with both HTS and FSS might be the key to staying competitive, offering a customised service, with both wide beams and spot beam capabilities. Likewise, Mergers and Acquisitions (M&A) and strategic partnerships between GEO and NGEO operators can be a great way to optimise revenues from both systems by diligent bandwidth management. 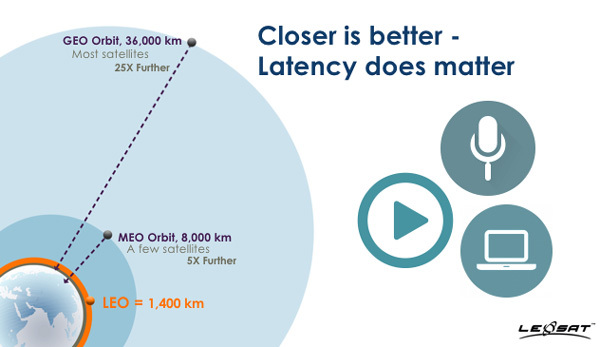 GEO HTS system offer the advantage of significant coverage via a single satellite; however, latency and significant CAPEX have always been limitations for GEO architecture. These drawbacks gave rise to the emerging trends of LEO and MEO (NGEO) constellations, that come with their own set of challenges – as previously discussed in this article. Perhaps an integration of the systems can open the otherwise unattainable opportunities. The benefits of HTS systems are substantial and varied. 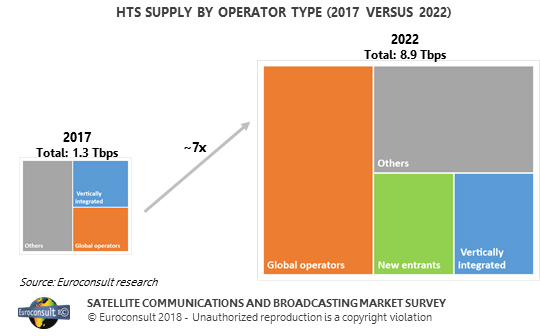 From competitive pricing to better frequency utilisation to higher throughput, HTS architecture has and is continuing to unlock high growth potential for the satellite communication arena, expected to become the main source of revenues for the industry in early 2020s. 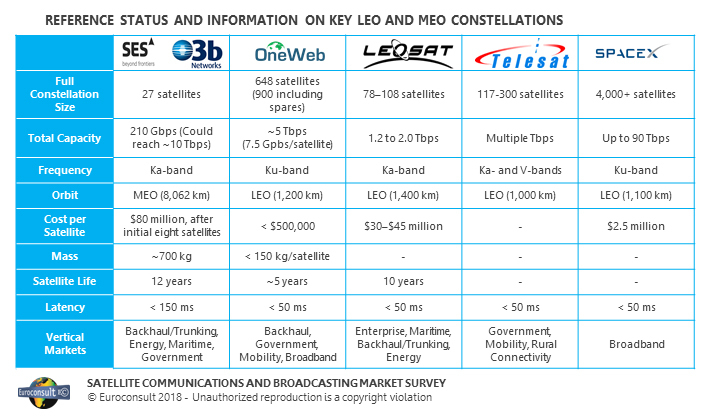 The potential of these systems is no longer limited to GEO, with O3b constellation leading the race in MEO and a number of players fighting for a place in LEO. Regardless of the benefits associated with HTS architecture – for GEO and Non-GEO, it is important to take note of the many challenges accompanying the system, especially for the Non-GEO HTS players. Moreover, it might be premature to completely overlook the capabilities of FSS systems. Not only does FSS make fore the highest share of revenues currently, by adopting new technologies like electric propulsion, smaller satellites and with further developments in concepts like in orbit servicing, operators can get good economics to continue serving FSS markets. Overall, there is no one size fits all approach for satellite communication industry. With the increasing competition in the market and oversaturation of supply in some regions, each player needs to formulate its own fleet composition to form a hybrid fleet of GEO HTS, Non-GEO HTS and FSS architectures that fits their business model. 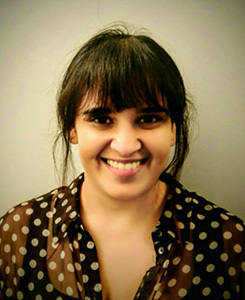 Shagun Sachdeva joined NSR in December 2017. Prior to joining the team, she worked as the Business and Marketing strategist at Satellite Squared. During her time there, Sachdeva’s main activities included the market analysis and segmentation, identification of potential customers as well as the valuation studies for the company’s core product concepts: In-Orbit Servicing and Satellite Power Boosting. 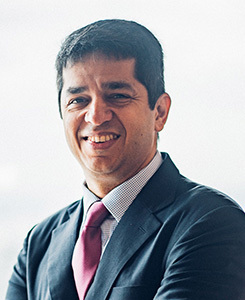 Sachdeva completed the Toulouse Business School’s Aerospace MBA program, and holds a Master’s degree in Aerospace Engineering from Monash University, Australia. When talking about GEO versus NGSO systems – predominantly LEO and MEO – one typically ends up in a discussion about latency and how MEO and LEO are capable of offering much lower latencies relative to the traditional GEO satellites. Alternatively one may also end up in an endless debate about satellite pricing and how it will come down by virtue of so much (NGSO) capacity flooding the market, causing many challenges for many satellite operators. These discussions have been going on for the past decade and for some reason or another, we seem to have lost track of the more interesting discussion and ultimately bigger issue that provides a better context, and allows for a much better analysis of the challenges that we face in the satellite industry. So, let’s try to get beyond latency and price and discuss the real topic at hand and the opportunities it brings for our industry. If we look at the last 20 to 25 years, it becomes very clear very quickly that the satellite industry is moving from an industry that is dominated by video – video broadcasting in particular – to ultimately becoming an industry that will be dominated by pure data. While trying to adapt to this changing world, we need to make sure we keep the bigger picture in focus: If we take the transition from streaming video towards data as our point of reference, many of the current developments, and particularly opportunities we are currently seeing in our industry become more clear. We all know that GEO satellites are traditionally designed and operated as video birds and they’re built to carry lots of high quality video content for which its customer are (or certainly were) prepared to pay high prices to indeed have their content carried to millions of households. With the advent of the internet and the desire to reach more places than cables would go, now all of a sudden these video birds are also being used as a last mile solution for data networks where terrestrial infrastructure was not available to close circuits in far and away countries. Often being at the bottom of the priority list and with nothing else to offer other than low bandwidth and high latency, the telecommunication companies (Telcos) pushing for these circuits were demanding low prices. With capacity to spare and a desire to enter into this new world of data and Internet, the satellite operators have been playing along to the best of their ability. The result? Rock-bottom and falling prices, resulting in continued sub-optimal satellite designs for data. We’re still to a large degree facing these problems in our industry today. 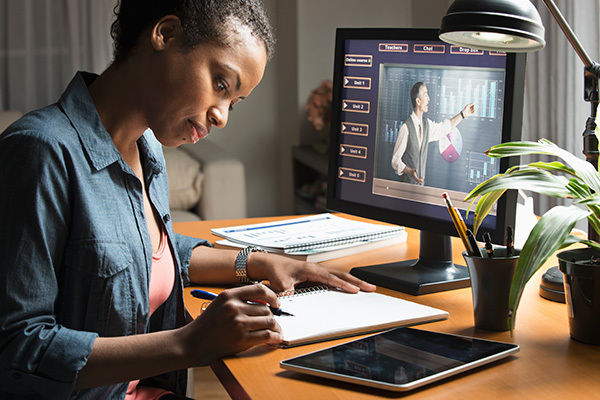 In addition, there has been another important trend that has dominated our industry in its pursuit to make the transition from video to data: Connecting the unconnected. When with O3b the first MEO satellite system was presented to the world, it came with the promise of connecting to the internet all those that we still unconnected. While very noble in its cause, it further triggered the discussion on price, as after all, when trying to make a business out of connecting people that have hardly any money to spend, one cannot help but wonder how the business plans will close. It also triggered a more or less renewed discussion on how GEO satellites could be better designed to carry more data to help the same cause at an equal or lower cost point. It is clear that e.g. ViaSat has taken that ambition seriously and is currently very successful. While the cost discussion continued to go on, another discussion came to the forefront: Latency. GEO satellites are characterized by very high latencies. The standard RTT (round-trip time) up and down to the satellite is 500 milliseconds and for data communication that simply is too high. As much as lots have been done to mitigate the negative effects of high latency by introducing new hardware and new software as part of the ground infrastructure, the smoothing effects are predominantly seen in one-way traffic such as video streaming, up/downloading and web-browsing. For transactional services and collaboration applications such as video conferencing, the high-latency continues to be a source of frustration and often disqualifies the (GEO) satellite solutions altogether. With NGSOs being able to offer lower latencies than its GEO counterparts, here was a true Unique Selling Point (USP) that the industry hadn’t seen in a long time. The industry was used (and largely still is) to price being the only USP, predicated on the assumption that satellite capacity is largely commoditized and one vendor can be easily switched out for another. So while making the move from video towards data, and despite the introduction of NGSOs at the beginning of this decade causing some excitement over latency, the industry is still very much caught up in a discussion about (dropping) prices and oversupply in a commoditized market. For that reason no wonder that many people are skeptic and oftentimes concerned about the development of new NGSO systems. After all, if all the capacity is ‘the same’ and if we’re heading towards oversupply, why bother rolling out NGSOs further? It is exactly at this point where the better context of an industry moving from predominantly video to predominantly data will provide interesting clues and better indications for direction and success. Afterall: if the future is about data, one has to give it to the terrestrial infrastructure guys that these are the people that own that domain. As much as in our industry we have some of the smartest people in the world on our payrolls, when it comes to data we collectively have to take the backseat to the terrestrial guys. If the future is about data, we would doing ourselves a huge favor to bring these people on board of our companies to help us design the satellites of the future. With a flair for the dramatic I would even go as far as saying that after our industry’s successes with video and DTH, taking this approach will allow our industry to enter into a new era of great successes by designing satellite systems that combine the benefits of terrestrial infrastructure with the benefits of satellite. So what are some of these benefits then? We’ve already touched upon Latency. For MEO that is much better than GEO, and LEO will again improve on that. From ~500ms to ~150ms to ultimately ~20ms (RTT at bore sight). By further interconnecting the satellites, onboard-processing and taking into account the rules of physics – bits travel faster in free space than in glass fiber cable – this latency advantage results in satellite infrastructure now being able to compete with the latency of terrestrial infrastructure over longer distances. 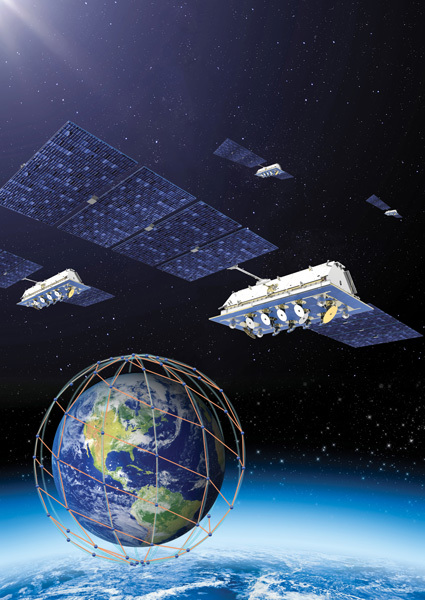 Satellites beating Fiber – wow, that is new! However, as relevant as latency is, it is not the only thing. If satellites and constellations are designed with data in mind, then other key features of satellites help improve the service relative to its terrestrial alternatives. Global coverage is one of them. Most of the NGSO constellations are covering the entire world. Per definition a cable system can only connect two points, the two end point of the cable, the satellites do not have that limitation and that comes with great advantages for any terrestrial operator. And there are more: Think about scalability, meaning that given the global footprint of most NGSO constellations, the solutions created in one part of the world are guaranteed to also work in any other part of the world. This comes with the great advantage of having to design a network solution only once for a specific area and see it operates successfully on a global scale after a global rollout. Rapid deployment is another: It’s well known that in the terrestrial world the enterprise customers have to wait a long time for their remote offices to be connected. This can sometimes take up to 3 or 4 months. With the advent of FPA (flat panel antenna), the sheer ability to install 2 antennas on either side and get a connection up and running in a matter of days is a very interesting value proposition to any Telco installing network services for global customers. With these and many more advantages characterizing ‘the new satellites’ they are now able to compete with fiber and in doing so, there is an opportunity for our industry to grow beyond the traditional satellite communication (SatCom) market into the much larger datacom market. This market is said to be 200 to 250 times bigger than the SatCom industry. Subject to the architectural design of the constellation, the new NGSO satellite infrastructure is going to be able to offer competing services for the last mile, as an extension of terrestrial networks. Alternatively, it might want to focus more on trunking applications for the Telcos’ and/or mobile operators’ backhaul requirements. It might however also want to focus on more enterprise type services, by combining both the last mile and the trunking capabilities into one E2E (End-to-End) service. LeoSat is a company that has clearly chosen to do the latter and in doing so it has had the opportunity to add a few more advantages on top of the ones already mentioned. Security is one of the more important ones: If satellites and constellations are designed with data mind, facilitating a link from one rooftop somewhere in London to another rooftop in Sydney, is very well possible outside of any terrestrial infrastructure. Not having to tunnel through, or interconnect with any third party network, the security profile enhances significantly, not only from a data protection perspective, but also from a resiliency perspective as there are simply no interconnects where someone can pull (or tap) a cable – great for Governments, MoFAs in particular! So in conclusion, while the interest in LEO and MEO satellite systems is currently largely framed by discussions on latency and price, the real interest of (future) investors is driven by successful business plans for satellite data-communication. For these LEO and MEO business plans to be successful NGSO systems need to add relevant features and functions beyond those of what terrestrial datacom industry can offer or, better yet, be able to compete and beat terrestrial infrastructure altogether. LeoSat has taken the latter view and as part of its design philosophy has effectively chosen to launch MPLS (Multi-Protocol Label Switching) routers in space. In doing so it is completely mimicking the capabilities of our terrestrial counterparts, while adding a few extra capabilities of its own, in terms of latency and security. This way we’ve designed a compelling alternative for mission critical data-communication requirements where data needs to arrive faster and more secure than any alternative option, be it terrestrial or satellite. It is this opportunity, to tap into the broader data-communication market outside and beyond traditional SatCom market, that explains in large part the interest in NGSO, ie MEO and LEO. 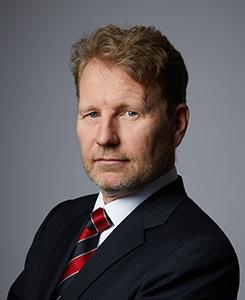 Ronald van der Breggen is Chief Commercial Officer of LeoSat. He has more than 20 years of experience in the telecom, fiber and satellite sectors working for Dutch Telecom company KPN and leading satellite company SES. He holds a Bachelor’s degree in Business Administration & a Masters in Business Telecommunications.